If you are considering a career in law, why not look at degrees in Europe? Here are our 5 top picks. 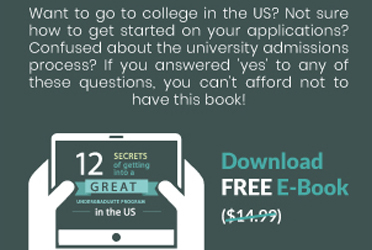 Studying law abroad can be an enriching experience for a number of reasons. One, it will expand your perspective and enhance your understanding of law at large, as different countries evolve different legal frameworks. Two, it will enable you to think global, a quality that employers today value greatly. Three, if you’re looking at niche specialisations like Children’s Rights or Corporate Restructuring, it is sensible to explore international options. And, finally, your learning is not limited to your discipline. A postgraduate degree in law aims at nurturing the analytical and creative thinking skills acquired after you have reviewed many case-studies and theories during your undergraduate degree. Europe has long been a popular destination for international law students. A number of European universities offer reputed law degrees combining the best of legal tradition with modern practice. We bring you 5 leading postgraduate programs in law offered by European universities. 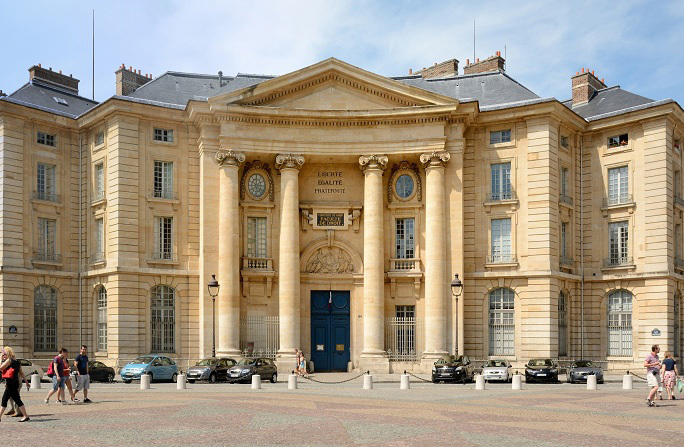 The Paris-Sorbonne University has been ranked the best European university (excluding the UK), to study law by the QS World University Rankings. The university is amongst the oldest, most reputed universities in France and offers more than 10 law programmes that are taught fully or partially in English. Their Master of Law in French and American Business Law is offered in collaboration with Columbia and Cornell universities. The course has a key focus on the Common Law and other corporate litigation strategies useful for consulting in business law. Notable alumni of the Panthéon-Sorbonne University include Irakli Garibashvili, former Prime Minister of Georgia, and Padmapriya Mukherjee, Lawyer at International Criminal Court, human rights activist, and a member of the Nobel Committee for Literature. Located in the lush city of Leiden, the university is only about a 50-minutes drive from Amsterdam. Leiden was ranked the number two law school in Europe by the QS World University Rankings. The university prides itself on its association with more than 15 Nobel laureates including Albert Einstein and Paul Ehrenfest. The School of Law at Leiden provides full-time as well as part-time courses that are taught in English and Dutch. Leiden’s Masters of Laws in International Children Rights is the only one of its kind in the world that addresses impactful legal developments concerning the welfare of children. One of the world’s oldest universities, the Heidelberg University takes the third spot to study law in Europe, according to the QS World University Rankings. Since Germany is one of most popular destinations amongst the international students, almost 20% of the student body is international. Heidelberg’s Masters of Law in Corporate Restructuring program is aimed at students who have an undergraduate degree in business and/or law and want to train as consultants who can rehabilitate & restructure corporates in crisis. Belgium’s University of Antwerp has made a name for itself independent of rankings . The university offers more than 30 postgraduate programs in English and is renowned for its research-oriented and entrepreneurial approach towards education. Their Masters of Law degree is a full-time graduate program that intends to prepare the student for practicing law in an international environment. It teaches modern practices by offering through student exhanges with researchers and practitioners. The oldest university in continuous operation, the University of Bologna is the fifth-best university to study law in Europe. The University of Bologna has a large student body with more than 85,500 students enrolled in 11 of its schools. One standout programme at the University of Bologna is the European Masters in Law and Economics. The degree provides an opportunity for the aspirant to pursue a joint degree which offers three specialisations – 1) Public and International, 2) Innovation and Intellectual Property, and 3) Markets, Corporations and Regulators. How inclusive is healthcare for international students across the world?